Fidelithon Systems™, LLC, a cloud computing leader in enhanced Mobile Device Management (MDM) for consumer and small and medium businesses (SMBs), announced today the availability of new features in its gMelt™ MDM system, designed for use on Apple iPhone, iPad, iPod Touch and Google Android phones and tablets. 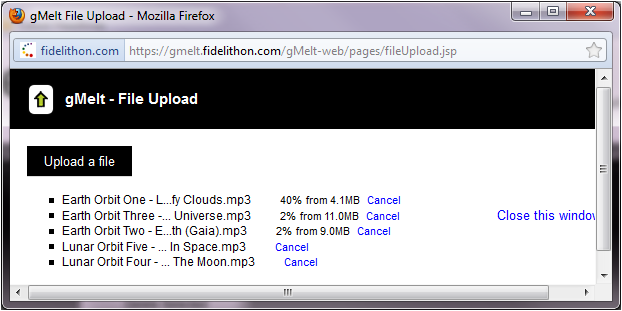 With the release of gMeltWeb 2.3 (the cloud server portion of the gMelt system), users can now upload virtually any amount of files from their computers simultaneously, enabling bulk uploads of pictures, videos, music, documents and other information to their private and secure cloud-based account, making these individual files accessible from anywhere using their mobile or browser-based device. Additionally, iPhone, iPad and iPod Touch users can access their cloud music library and stream MP3 files instantly to their device. Android users may download the music to their device and listen to the files locally. “Cloud computing continues to be in the forefront of next-generation communications”, explained Kevin Allan, Principal and Founder at Fidelithon. “With an increasingly mobile society, instant access to specific personal content using smartphones and tablets is an intuitive next step. We’ve integrated data management, including file back-up, access and sharing, with device management, such as device tracking and inventory, to bring a complete cloud-based solution for the mobile community.” Rather than just data back-up, users can access a specific file in the cloud, edit it locally, share it as well as manage the mobile device itself. Manages up to 100 devices and provides GPS tracking, remote data wipe (Android version) and offers 250MB of cloud storage, upgradeable to 256GB of storage- with a one-time fee of $2.99/app . Cloud storage upgrades are also available through the respective app stores and the gMeltWeb interface. Located in Silicon Valley, California, Fidelithon Systems provides multi-platform solutions to effectively manage data on Apple and Android mobile devices for personal and small business (SMB) users. Further information about Fidelithon and its offerings can be found at fidelithon.com. Join us on FaceBook (facebook.com/pages/Fidelithon-Systems-LLC/107116982660427), Twitter (twitter.com/#!/gMeltApp) and LinkedIn (linkedin.com/company/fidelithon-systems-llc?trk=tabs_biz_home). ©2011 FIDELITHON SYSTEMS, LLC. 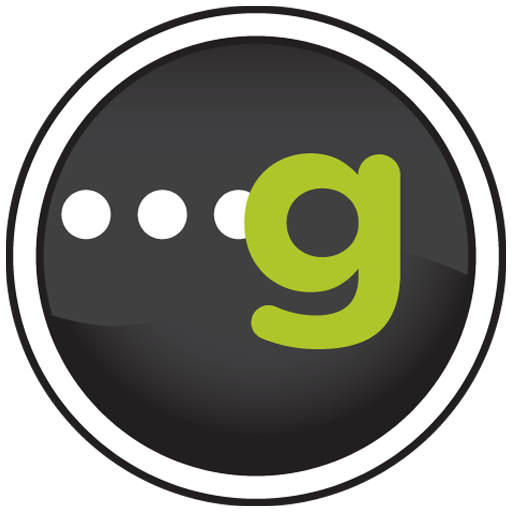 FIDELITHON SYSTEMS, LLC, the FIDELITHON SYSTEMS logo, gMelt, gMeltApp, gMeltWeb and gMeltCloud, the gMelt logo and gMelt icon are trademarks or registered trademarks of FIDELITHON SYSTEMS, LLC, in the United States and/or other countries. Other brand and product names are trademarks or registered trademarks of their respective holders. Information is subject to change without notice. All rights reserved.